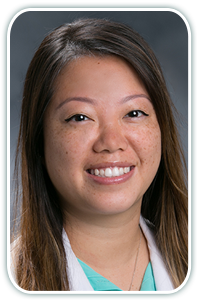 Home >> Providers >> Tammy Luu, P.A.-C.
Tammy Luu is a board-certified Physician Assistant who joined North Atlanta Primary Care in 2018. Tammy is a Georgia native who graduated from Georgia State University with a Bachelor of Science in Biology with Honors. She went on to complete her Master of Medical Science in Physician Assistant Studies at Mercer University. Some of her medical interests include neurology, preventative medicine, and behavioral medicine. In her spare time, Tammy enjoys spending time with her family, kayaking, hiking, making various handicraft projects, and volunteering at the local animal shelter.